I've mostly had long hair ever since I was old enough to fight with my parents about it. Recently though, I felt I wanted to clean up a little bit for spring. This is the result, still longer but healthier and neater. It's just hair, it will grow back - and so will my goatee, I also shaved clean for the first time in probably almost two years. Okay, maybe not that interesting but I made my wife take before and after shots (I was sure to wear the same shirt for reference) so she said I better post them! Yesterday Kate got outside and planted all the plants that had arrived in the past week, including all the new creeping phlox around the tree area. There are many other plants around the tree but the cool temps are giving us a late spring this year, and they have barely come up yet, if at all. More rain and lower than normal temps are expected this week yet again, but it has to get better sometime. Right? Garden pics and comments about yesterday here. It is April 19, and it has been snowing off and on all day. It has not accumulated, and tomorrow is supposed to be nice, sunny and almost 50 degrees fahrenheit. Kate is planning on working in the garden tomorrow and I would like to add some dirt and grass seed in areas of the yard and maybe make the trellis for the new raspberry plants, my first woodworking project of the new year. But for today, it snows. Yet again. But not to worry, after tomorrow we are projected to get a bit of rain every day for the next week again. Yayyy. U.D.O. LLP post coming soon, later tonight or tomorrow. I gotta get my vids posted! Last night was the U.D.O. show in Janesville. I went with a bud, Mike, and we had a hell of a great time. In fact, I have much I want to write about here but, even though I took today off, I just don't feel like writing a lot today. We got back to town at almost 1 in the morning and home after 2. I slept in and then Kate and I went out to eat a late lunch* and now we are just relaxing at home. I had a blast at the show and I was front and center for all of it! Here's a preview video, minutes before they came out I did a quick 360 degree look around the club. I was disappointed for the band that there weren't more people and happy for myself that it wasn't shoulder to shoulder. You can see I was front and center for the forthcoming metal assault! *We went to Brothers Three for lunch and I must have looked hungry because James made me an incredible bacon cheeseburger with two grilled cheese sandwiches for the bun! I've only seen things like that on the internet, but it was delicious! Kill the groundhog! Well, maybe not. After all, there is no snow or ice anywhere in the yard anymore, though there were visible snowflakes at times over the weekend. We have been teased now and again with seasonable temperatures but overall are much below average, so it may no longer be winter but it sure doesn't feel like spring yet. The temperatures are cold, but the big thing has been the rain. 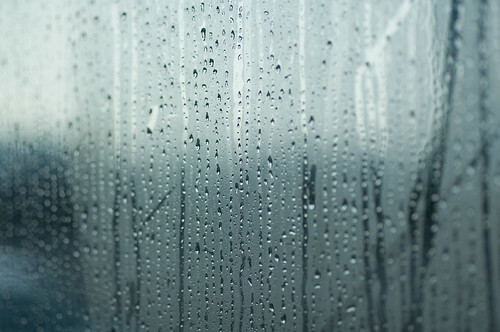 The rain. Every. (Expletive deleted). Day. From what I saw yesterday, today was supposed to be dry with a good chance of some dry tomorrow. I had planned on getting soil and working on the garden after work, but before my shift ended there was the rain, pouring down again. Many of Kate's plants, including strawberries, have already arrived and are waiting in the fridge to be put in the ground. No, it is not too late to start the garden yet, and the nursery she ordered from had no idea it would rain every day, yet the plants are here and plants require planting. What can you do? Now they're saying tomorrow will be dry, do I believe them? Their 7 day forecasts have been changing so much I don't know why they bother, now even one day out they have no clue. Sigh. We can just hope for the best, I guess. I've been a huge Udo Dirkschneider fan since I saw the german band Accept a couple times back in the eighties, opening for Kiss and for Iron Maiden. The band U.D.O. has been around since 1987 (restarted twice following Accept reunions). They are playing 9 U.S. shows (and 3 in Canada) and I will be at the one on Wednesday in Janesville, Wisconsin. I knew they were coming over for a short tour but I was not going to drive for hours, especially in the middle of the week. Dates and venues have been changing a bit lately, the show I'm going to was actually scheduled next door in Verona for a while, but I can't argue with less than an hour drive to Janesville. After all, I may never get another chance to see one of my favorite metal singers. My next LLP post may be the video I take on Wednesday night! Here is U.D.O. playing 'Vendetta' last night in New York City. Bonus video of 'Balls To The Wall' from the same show after the break! "People often wonder why atheists are sometimes hostile toward religion. As an atheist, I sympathize with this viewpoint; I mean, what difference does it make to me what a person believes in their heart and mind? But the recent hubbub over the pope election is a perfect example of why it is sometimes of concern to people like me..."
Click the above text to read the rest of his post over at Bizarrocomics.com. I have a hard time expressing my beliefs, mostly due to self confidence issues, but I know what I agree with when I see it, and I happen to agree with him. Thanks, Dan! The weather has finally turned more seasonable around here, though we still need that cleansing rain I talked about. I was hoping for it yesterday but all we got was a few sprinkles. There is rain forecast off and on this week so that will help. I got outside today and got some cleanup and caulking done on the garden, you can read more about that over at my garden blog. Aside from that I installed another 4x6 at the back end of the garage (top of photo) that mimics the one in front. The time to get started on this project is soon, removing and washing the rock, putting down a weed barrier and stepping stones, then putting the rock back around the stepping stones. The piece of 4x6 was left in the garage, I'm sure it was left over from when the landscaping was done years ago. It fit in neatly around the peony that now will be coming up in the corner of that area. We don't use this as a path usually, but this area attracts weeds and ferns and since there is no gutter on the garage we can't really fill it with plants. Stepping stones and the rocks will catch the water and prevent erosion. Bonus pic of naught kitty destruction after the break!